Mike Ullery | Daily Call Leah Francis competes in the 100 meter hurdles during Division III finals at Jesse Owens Stadium in Columbus on Saturday. 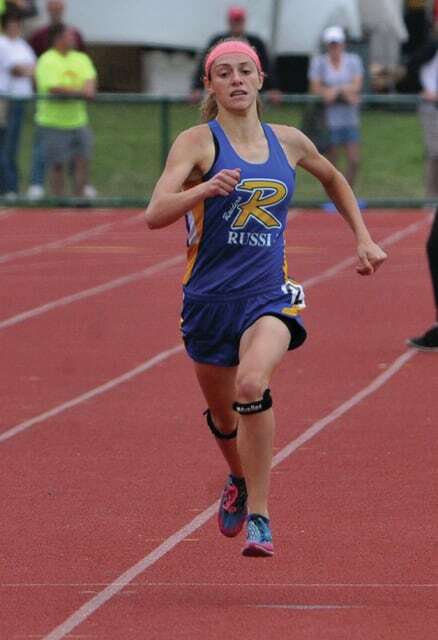 Mike Ullery | Daily Call Lauren Heaton runs the 1600 relay event for Russia. Mike Ullery | Daily Call Russia’s Molly Kearns passes an opponent in the 3200 race. Mike Ullery | Daily Call Emily Borchers of Russia runs the 3200 on Saturday in Columbus. Mike Ullery | Daily Call Russia’s Lauren Heaton in the home stretch of the girls 400 meter dash event.